National Unicorn Day At Build-A-Bear! Get Unicorns For As Low As $14.00! Build-A-Bear: Select Furry Friends Just $8.00 Through Tomorrow March 31st! Build-A-Bear Bearly Any Left Sale! Save Up To 60% Off Select Bears! Build a Bear Bears Only $5.50 January 20th & 21st! 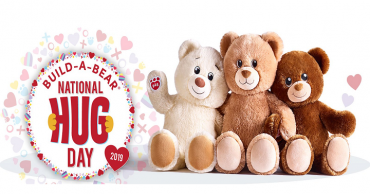 FREE Shipping On All Orders At Build-A-Bear Today Only! Build-A-Bear: Buy One Furry Friend & Get One For $10.00! Build-A-Bear: FREE Shipping & Beary Merry Christmas Sale! Bears As Low As $12.00! Build-A-Bear Let It Snow Sale! Save Up To 50% Off Select Styles Today Only! 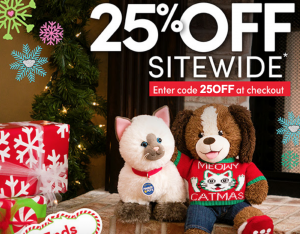 Build-A-Bear: 25% Off Site Wide Going On Now!